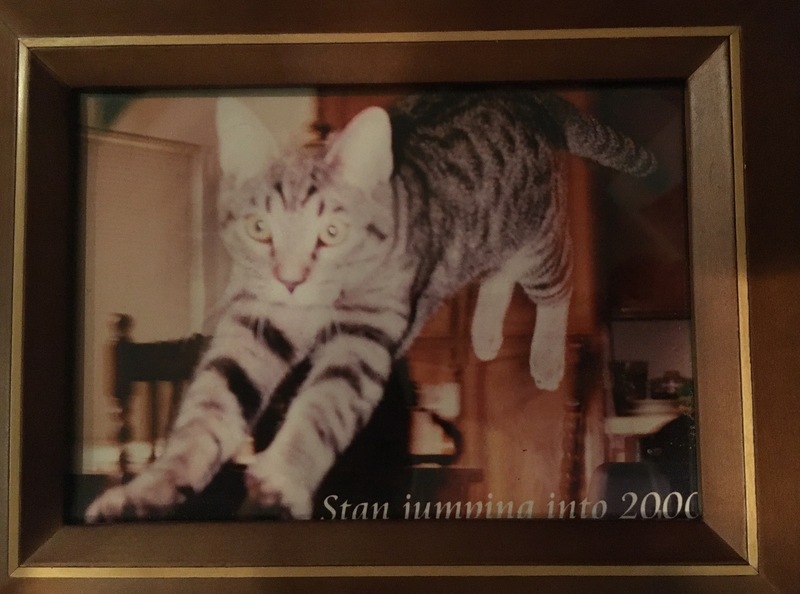 Fun fact: Stan was the name of the cat I had in high school. Actually, I had two cats. The other dude was Harry. Stan was also the name of the crotchety old creeper man who lived in the apartment below us my sophomore year of college. Fun, right? With all of the KACM Vegas meet up excitement, I forgot to report on an oncology appointment I had last Thursday. Right now, the plan is to start the first round of Xeloda on August 7th. It’s an oral chemo pill (I should not lose my hair with this one) that I will take in the mornings and evenings for two weeks and then have a week off. As long as I tolerate it well, we will stick with the two on, one off deal for possibly 6 months. This will be confirmed fo sho when I see my oncologist again on August 4th. She wants to make sure that I am actually eating meals and hydrating myself before we begin. Two things I’ve been slacking on. My hysterectomy and ovary removal has also been scheduled for August 30th. Currently, there are no plans for me to be on any type of hormones after the surgery. Bring on the hot flashes! Annnnd tomorrow, I have a brain MRI because I have been dealing with some pretty gnarly headaches. My oncologist has low suspicion that it’s C but at this point, we want to be safe. On Monday, I had some blood work done and it looks like I am still anemic which might explain some weird symptoms I’ve been having. We also learned that my thyroid stimulating hormone (TSH) is high. This means that basically my brain is trying to signal my thyroid to work harder. I am now on another medication called Synthroid and after 8 weeks, I will be tested again to see what’s up. Physical therapy for my shoulder is going quite well. My range of motion is much better and the pain has decreased a ton. So, kewl. J…. Thinking and praying for you every day! Just keep on keeping on…… loved hearing about the incredible experience you had in Vegas! You are in my heat dear Jessica and thank you for updates. Will continue sending you blessings and love!!! So happy you had a good time in Vegas…you needed it. Prayers for you for all you have coming up…you are so positive thinking…..all will be well and a great future ahead of you. With lots of love behind you with family and friends.